If you’re a driver in the Toms River, Brick, and Freehold areas, you likely appreciate the value of a quality compact car with an abundance of modern amenities that serve to enhance your overall driving experience. The VW Jetta is one that is able to live up to that description. If you’re interested in taking a closer look at a used Volkswagen Jetta, the folks here at Toms River VW have come up with the following review. Contact us to schedule a test drive of the used Volkswagen Jetta! One particularly noteworthy piece of technology found in the used Volkswagen Jetta is the Driver Personalization feature. It’s able to keep track of such settings as preferred seating and external mirror positions, radio stations, and climate control. It can store information for up to four different drivers. 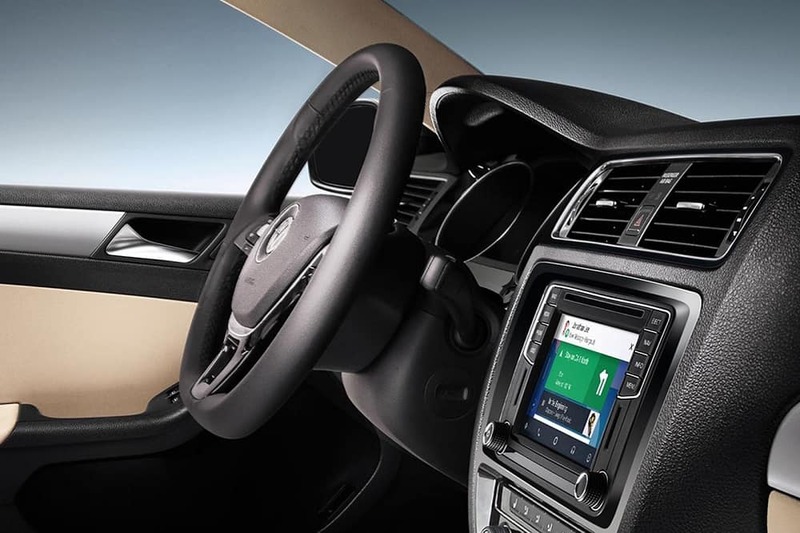 The Volkswagen Jetta is also available with the Volkswagen Digital Cockpit that supplies you with an accommodating 10-inch, high-resolution screen. The Volkswagen Digital Cockpit allows you to organize the display so you can see the kind of information you’d prefer such as fuel economy, travel time, and present speed. There are also plenty of features contained in the used Volkswagen Jetta that boost its overall convenience. An example of this is the fact that it is available with a leather-wrapped steering wheel, V-Tex leatherette seating surfaces, and heated front seats. There’s also the available Climatronic® dual-zone automatic climate control that allows you and your passengers to enjoy the ride even more. This compact car certainly packs a punch when it comes to its roomy interior. It seats five passengers quite comfortably and has a maximum passenger volume of 94.7 cubic feet. 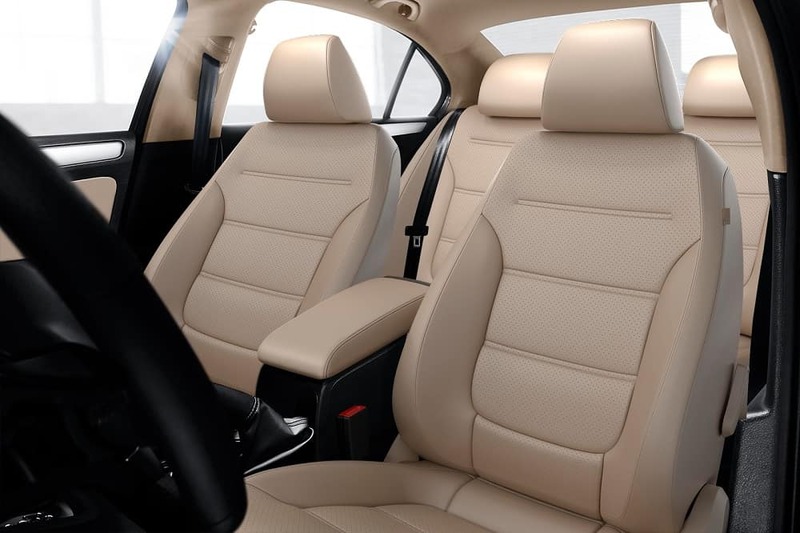 In the front row seats, the used Volkswagen Jetta offers 38.5 inches of headroom, and 41.1 inches in terms of legroom. In the back row, the headroom comes to 37.2 inches, and the legroom is 37.4 inches. One Volkswagen Jetta safety feature worth mentioning is the Automatic Post-Collision Braking System. This available system is intended to minimize the potential for further damage in the event of a collision. The VW Jetta comes standard with the Rear-View Camera System that helps you out when you have to put it in reverse by supplying you with increased awareness and confidence. Other helpful safety features include the available Tire Pressure Monitoring System that boost efficiency as well as safety by alerting you when the pressure in any of your tires is getting low. There’s also the available Adaptive Cruise Control that reassures you when you’re travelling on the highway by keeping you at a set distance from the vehicle in front of you. If you call Toms River, Brick, or Freehold home and you would like to see these features and specs for yourself as well as find out what else a used Volkswagen Jetta has in store, find our used car dealer near you to get started!